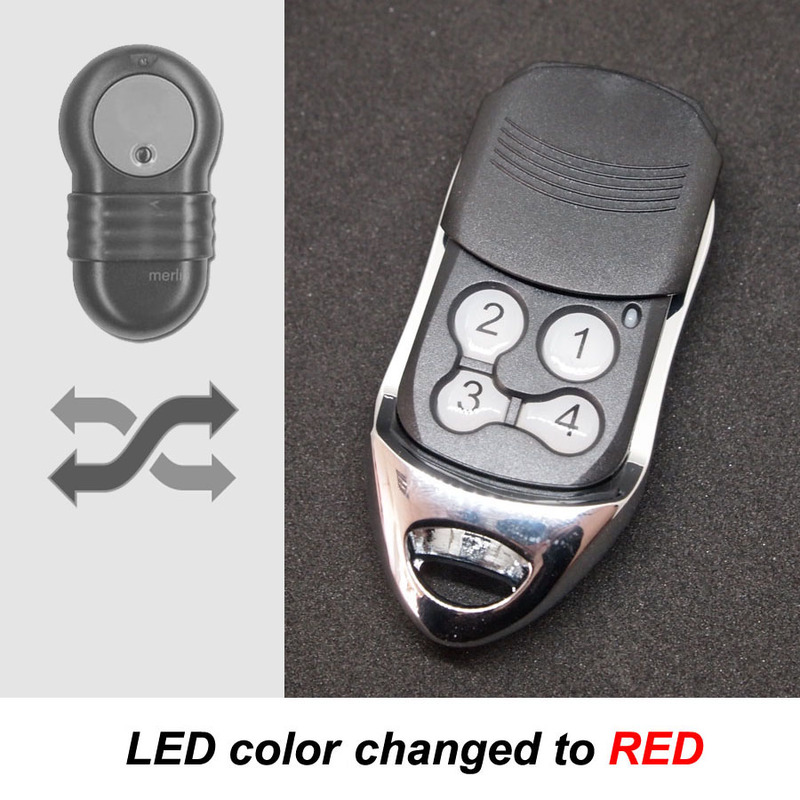 Please note: LED color has changed to RED for this product. 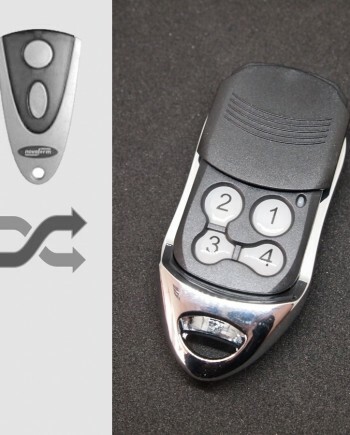 An aftermarket compatible remote, perfectly replaces your plastic Merlin remote control, works where Merlin M832 & M842 works. Wondering if it works same as Merlin M832 & M842 remote? Watch our video showing how we program it to Merlin standalone receiver. 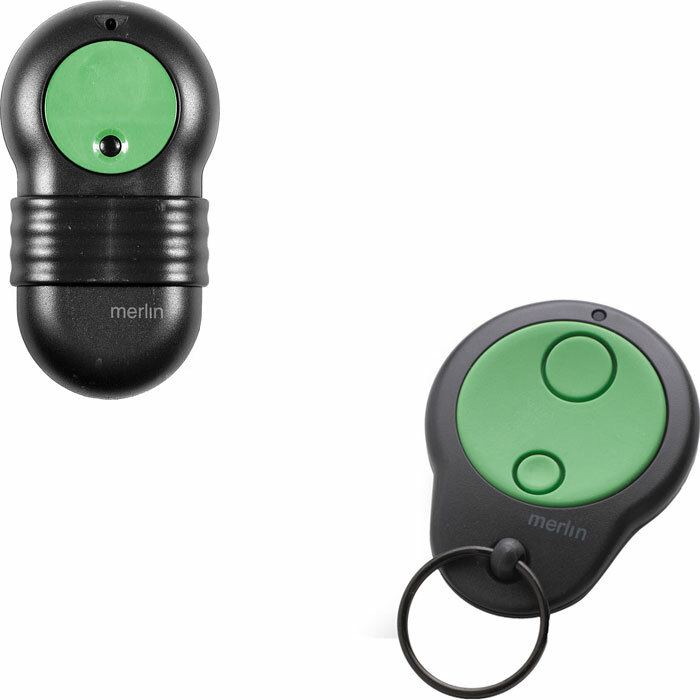 Our Merlin #M1 compatible remote replaces many Merlin remote control models including genuine Merlin M832 2-button remote, as well as other Merlin remote models such as M842, M834 4-button remote, M844 etc, it also works with Merlin radio remote systems using 433.92 MHz FSK rolling code technology. Compatible Merlin garage door & gate openers from 1999 if they are fitted with Merlin’s code hopping receiver, incompatible with all earlier models, unless add-on rolling code receiver and adapter loom is fitted, usually the compatible receiver’s remote is same green color, as well as Merlin M530 and M532 code hopping standalone receivers made by Merlin. Not compatible with some other Merlin remote control models using old 40.685 MHz FM frequency, such as Merlin M802 remote control. 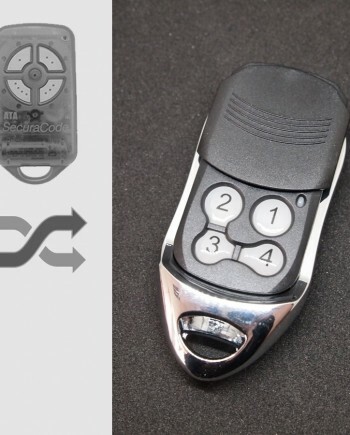 Merlin remote controls are made by Merlin brand, part of the Chamberlain Group, who is the world’s largest manufacturer of automatic garage door openers. Merlin’s industry leading designs and some of the most reliable and efficient products are available in Australia and New Zealand. Based on our marketing research, the best-selling Merlin remote control models are older Merlin M842 green remote control and newer Merlin C945 bearclaw remote control. 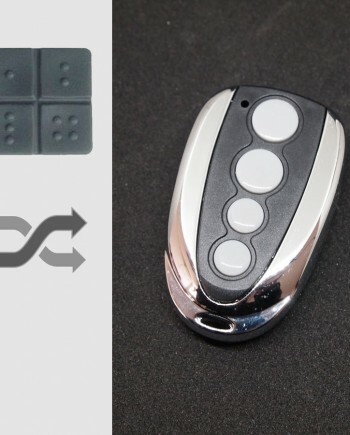 Merlin M832 & M842 remote controls are using 433.92 MHz FM rolling code technology, M832 & M842 model have 2 green buttons while M834 & M844 have 4 seperate buttons, each button can control a different door operator, they usually replace remotes with same colour buttons. Merlin has been very active in changing remote control code and each generation breaks compatibility, the oldest M802 remote is using 40 MHz FSK technology, older M832 & M842 remote is using 433.92 MHz FSK technology, newer C945 remote is using 433.92 MHz ASK rolling code, while latest E945 remote is using tri-frequency ASK rolling code, our replacement M1 is developed to be only compatible with M832 / M834 & M842 / M844 receivers using 433.92 MHz FSK technology. 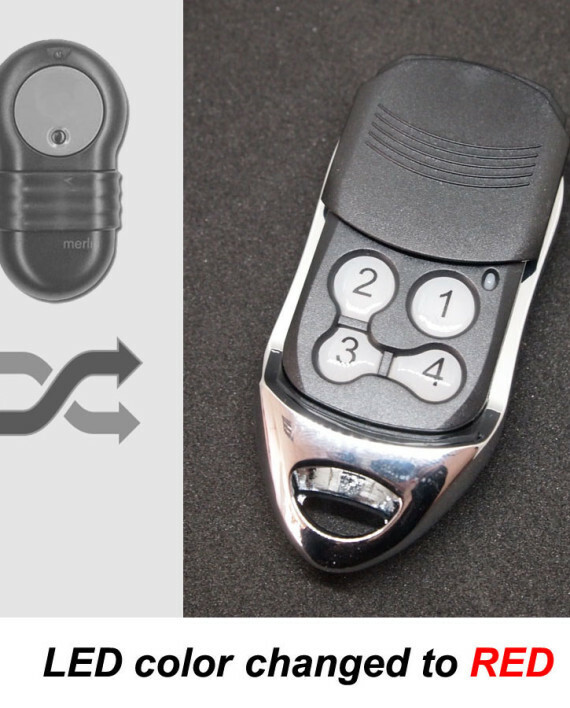 Merlin brand remotes is widely used in Australia and New Zealand, while some also sold to UK, so there are many locksmiths, garage door opener & gate remote dealers need Merlin remote controls in this region. Transmitting frequency at 433.92 MHz FSK, features secure self-learning rolling code encoder, uses 1 x 3V CR2032 lithium battery, remote control distance is around 50m, with sliding cover protection. 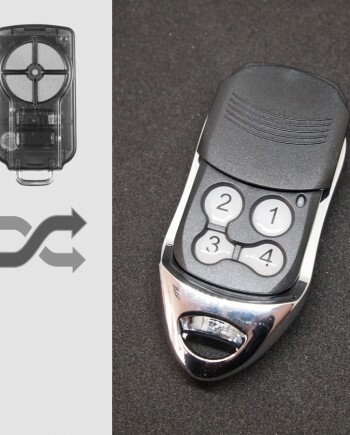 Official Merlin M832 & M842 remote control programming guide is available on Merlin website, you can find it on your door opener’s owner book as well as link to official manual is here. Watch programming video for Merlin M832 & M842 remote on YouTube, our replacement remote works the same as genuine Merlin remotes, so they share the same programming procedure. We make Merlin M832 & M842 compatible remote in our factory in China, so we know our products better than anyone else in the world. We’re confident in our engineering team & quality control, actually our Merlin compatible remote uses the same key components as genuine ones. Comparing our factory-direct low price with high price of genuine Merlin remote, you can have considerable profit by selling our products. * Our Merlin compatible remotes are white label products with optional logo printing service for bulk orders.